Roeder manipulation test measures hand, arm and finger dexterity and speed. The test has two parts: sorting and assembling. Dimensions: 21" x 2" x 12"
Extra scoring records for the Roeder manipulation test: 50 sheets. 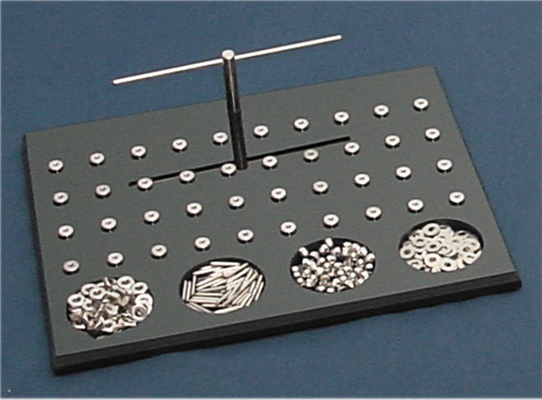 Dimensions: 11" x 0.2" x 8.5"
Extra parts for the Roeder manipulation test: 42 each pins, washers, crown and hex nuts.